A dip in the pool is a great way to enjoy the sun and get some exercise, but pools are not without hazards. Make sure everyone in the family knows how to be safe in and around the water. Television and movies often show drowning as a dramatic event with victims thrashing and calling for help or lifeguards springing into action for the save. While these instances can occur, drownings often are silent and difficult to see. They can occur in shallow water or even after a person has left the pool. Safety indeed comes first. 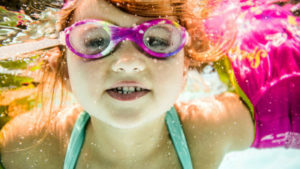 Having pool at home can be proved very dangerous for the little kids playing around the house. Thanks for sharing the symptoms. It was helpful.